You can order online simply by going to the product page for the item you want to order, by browsing the catalog or using our search bar, click 'Add to Cart', and once you have all of the products you'd like in your cart, click the 'Checkout' button and follow the directions on the checkout page. You can also order via phone by calling our toll-free number: 1-888-842-9057*. *Please note - at the moment, we do not have live phone support. To order via phone, call our toll-free number and leave a detailed message with all of your order details on our secure message server, including your name, billing and shipping address, payment information (Visa and MasterCard only), email address (required), and details of the product you are ordering. We will process your order within 24 hours and notify you via email as soon as your order is complete. We accept Visa, MasterCard, and PayPal, in US or Canadian currency. With PayPal you can pay using any credit card (including Discover and Amex), and e-Check (pay directly from your bank). If paying via e-Check, please note there may be a delay (imposed by PayPal) of 4-5 business days before they clear your payment. To choose your currency, select either USD or CAD (Canadian) currency from the drop-down box at the top right of the page (USD is the default currency). The Canadian Exchange Rate is updated automatically each day. To pay via PayPal, choose the 'PayPal' button on the payment screen during checkout. Opening a Customer Account with us is free, and you'll receive many benefits from having an account. You can open an account when you place your first order, on the checkout page - you will be asked to enter a password to create your account (and that's it - your account will be automatically created). An account is not required when ordering any physical (non-autoship, non-subscription) product, but we recommend opening an account so at the very least you will have access to your order history. If you already have an account with us, go to the Login page and enter your login details (if you've forgotten your password, you can request it on the login page). Even if you have not ordered anything from us, you can still open a free account. Go to the Create New Account page and follow the directions. To change or cancel any auto-ship plans or subscriptions you have, log in to your account and click 'My Auto-ship Plans & Subscriptions'. Under My Auto-ship Plans & Subscriptions you can view product details, your payment history, change your auto-ship plan shipping address, add or change your payment method, or cancel / suspend your subscription. To make changes, click the 'Edit' link beside the subscription or auto-ship plan you want to change or cancel. To view your payment history, click 'Payment History' beside each subscription. You can also contact us any time with your request to cancel or change your auto-ship plan or subscription. We just need your name and email address, and we will make any changes necessary, within 24 hours on business days. To view the status of your Orders or to view your Order history, log in to your account and click 'My Orders'. You can view the status of your current order, retrieve tracking information, or view your complete order history. To update your billing and/or shipping address, simply log in to your account, click 'My Address Book', and click Change Address or Add New Address as desired. To edit your auto-ship plan or subscription shipping address, log in to your account, click My Auto-ship Plans & Subscriptions, click 'Edit' beside the plan you want to change, then click 'Change Shipping Address'. Once on the address screen enter your new address details, then click 'Save Address' to update. Note - you can only change a shipping address for an active subscription - if you plan has been suspended or canceled, you will need to re-start your plan prior to making any changes. You can also contact us with your address change request, and we can make any changes necessary. We ship all products worldwide, with the exception of Australia for any of Dr. Jones' Ultimate Supplements. Australian import restrictions do not allow any pet food products in that have not been irradiated - which would destroy the nutrients in Ultimate Canine, so we do not ship our supplements to Australia. For any products that require shipping, orders will be processed and shipped out within 1-3 business days. For shipping methods, in the US we use USPS and UPS. In Canada, we use Canada Post and Purolator. For international shipments, we ship via USPS First Class International and USPS Priority International. We offer auto-ship plans for Dr. Jones' Ultimate Canine Health Formula (both sizes) and Dr. Jones' Ultimate Feline Health Formula. If choosing to order on an auto-ship plan, you will receive a discount for each order and renewal (amount of discount varies per product - see individual product details). Auto-ship plans are available in 1 and 2 month renewal times for all products, as well as 3 month renewal times for Ultimate Canine regular size and Ultimate Feline, and an additional 6 week renewal time for Ultimate Canine Economy size. See each product page for details. With your auto-ship plan, your payment will be automatically processed at each scheduled renewal, and your product will be shipped out within 1 business days after your renewal. You can modify or cancel your plan any time either through your Customer Account, or by contacting support. To view, edit or cancel any auto-ship plans you have, log in to your account and click 'My Auto-ship Plans & Subscriptions'. Under My Auto-ship Plans & Subscriptions you can view product details, your payment history, change your auto-ship plan shipping address, add or change your payment method, or cancel / suspend your subscription. You can also contact us with your request, and we can make any changes necessary. All of our products, including all e-Books, videos, courses, memberships and supplements, come with a money-back guarantee (some are limited - see below). If you are unsatisfied in any way, contact us and request the refund, and once approved, if necessary we will issue an RMA number and provide instructions for the return. See below for specific product guarantees. Trial Orders Only: For Dr. Jones' Ultimate supplements, for your first (Trial) order, we offer a 60 Day, 100% Money-Back Guarantee. 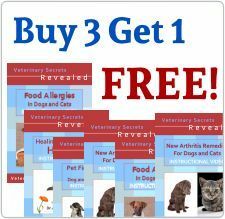 If you find the supplement doesn't work for your dog or cat, or if you are unsatisfied in any way, contact us and arrange an RMA number for your return, and we will refund 100% of your order - including shipping fees. The jar can be opened and we will still provide the 100% guarantee. See the section on Returns & Refunds for specific instructions. Please note - this is for TRIAL orders only - this does not apply to orders of Ultimate Canine Economy size or non-trial orders of any supplement. For any other supplement orders, we provide a 60 Day Guarantee, for UNOPENED jars only. We will accept a return of Economy size jars or regular orders of any size, providing that the jar is unopened and the plastic seal is intact. See the section on Returns & Refunds for specific instructions. For any digital products (including downloadable courses, e-Books, videos, membership subscriptions), we offer an Unconditional, 60 Day 100% Money-Back Guarantee. If for any reason you are not satisfied with your order, simply contact us and request the refund. See the section on Returns & Refunds for instructions. For any other products sold through our store, including DVDs, books or physical courses, we offer a 60 Day Money Back Guarantee for the cost of the item only. See the section on Returns & Refunds for instructions. As stated in our section on Guarantees, all of our products, including all e-Books, videos, courses, memberships and supplements, come with a money-back guarantee. Go to the Guarantee section for details on what (and how) our products are covered. To request a refund and to arrange the return of an item, contact us with your refund request and if it is a physical product, we will issue an RMA number and instructions on how and where to return your item. If it is a digital product (e-Book, downloadable Video, membership, etc), we will provide instructions and issue the refund. * Please Note: We will not accept any returns without an RMA number - we must approve the return and provide instructions prior to you returning any product. For a refund on any digital products (including downloadable courses, e-Books, videos, membership subscriptions), contact us with your refund request and provide your name, the email address you used when you placed your order, and your Order Id (found in your original email receipt). You will be required to delete the digital product you've ordered, and confirm this, prior to the refund. We issue refunds generally within 24 hours on business days. As stated in the Guarantee section, you can request a refund on a Trial jar of Ultimate Canine or Ultimate Feline within 60 days of placing your order. The jar can be opened, and we will provide a refund of 100% of the cost of your purchase. To receive a refund, Contact us with your request and we will issue an RMA number with instructions on where to return your jar, and as soon as your jar has been returned and verified by the warehouse, we will issue a 100% refund, including the cost of your shipping fees. * For other supplement orders (Ultimate Canine Economy size or regular non-trial orders of any supplement), the jar must be unopened and the plastic seal must be intact in order to qualify for a refund. We accept refunds on all unopened jars of our supplements up to 60 days after placing your order. To request a refund, Contact us with your request and we will issue an RMA number, and as soon as your order has been returned and verified by the warehouse, we will issue a refund for the cost of the jar only. We will not refund any shipping fees paid, plus there will be a restocking fee of 8% of the cost of the item. As above, we will accept returns of other physical products up to 60 days after placing your order. Contact us with your refund request and we will issue an RMA number with instructions on where to return the product. Once the product has been received, we will issue a refund for the cost of the item only - we will not refund any shipping fees paid, and there may be a restocking fee as well (depending on the item). We prefer that you contact us via our Customer Service form, but you can also send a direct email to our support department ( ), or call our toll-free number: 1-800-396-1534. Please note that at the moment, we do not have live phone support, but you can leave a message on our secure message line with your question, along with your name and email address (required), and we will reply to your request via email. For all support requests, we will reply within 24 hours on most business days.